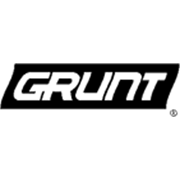 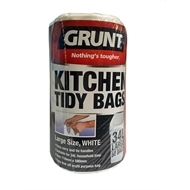 Grunt 34L Kitchen Tidy Bags suit most large kitchen bins. 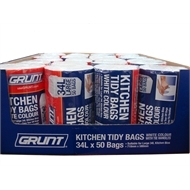 Great for use around the home or office they are 710mm x 510mm in size with a 34L capacity. 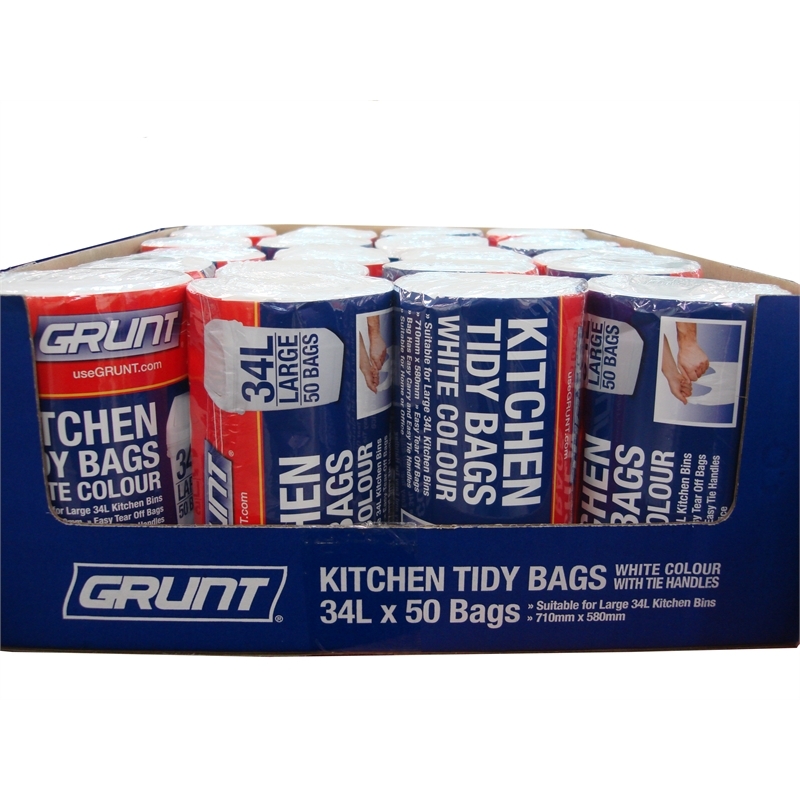 Strong and robust they are ideal for holding lightweight materials such as paper and plastic or other household waste. 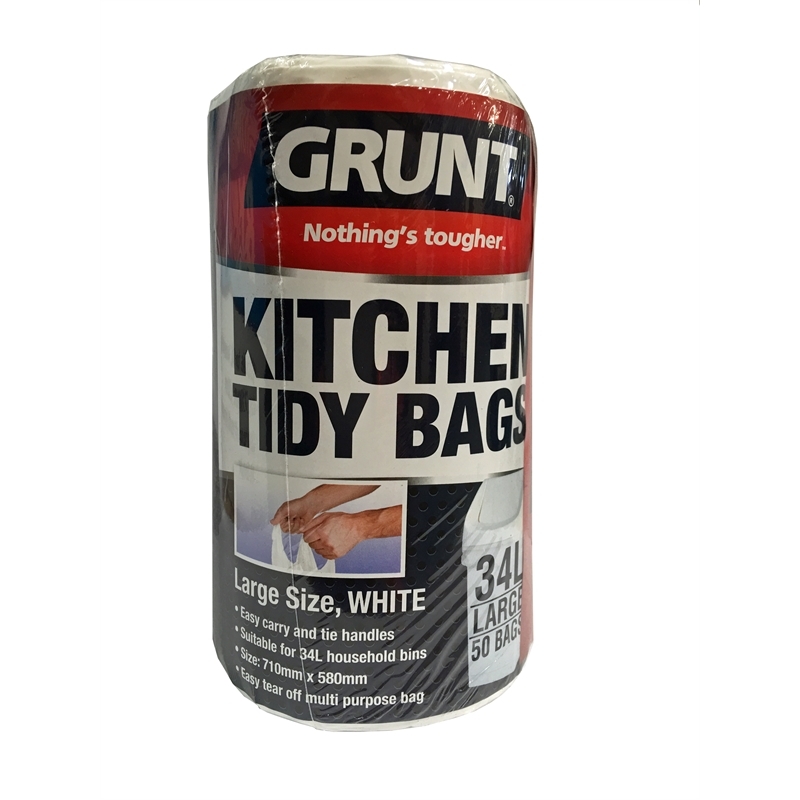 Available in a generous 50 pack roll, Grunt Kitchen Tidy bags are easy to tear off and feature convenient carry handles, which are great for tying and transportation to rubbish disposals.